From Fish Balls to Submarines | What an Amazing World! Ask any Indonesians about what comes first in their minds when they think of Palembang, quite possibly most of them would answer “pempek”. Also known as empek-empek, the dish comes in a wide array of variety; from fish balls (adaan), to cylindrical fishcake (lenjer), tightly packed fish noodles (keriting), fishcakes with slightly crispy crust (kulit), and grilled fishcake (panggang) as some of the most popular and widely available types of pempek. The main ingredient to make pempek is, obviously, fish, along with tapioca which gives the dish its slightly springy texture. Typically tenggiri (a group of fish from the Scombridae Family in which Spanish mackerels belong) is used to make the dough, although the more expensive and rare belida (giant featherback) is more preferred – widely praised for its rich and intense flavor. 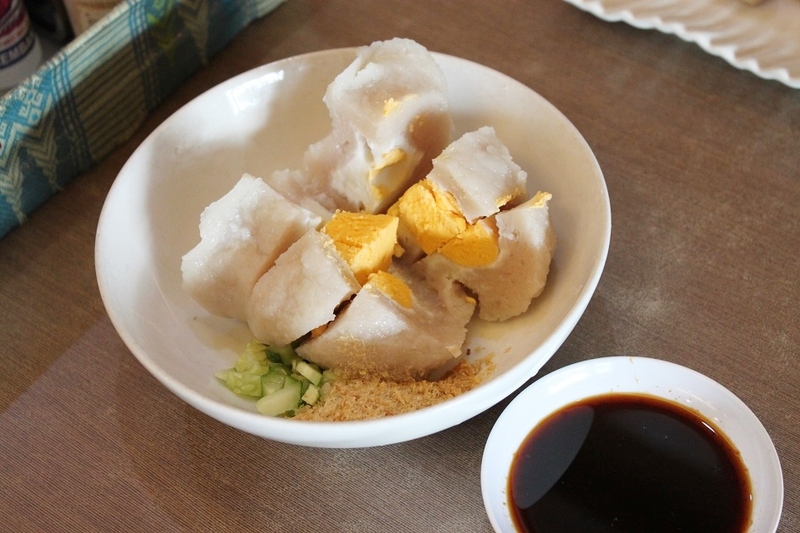 But one variety of pempek stands out among others for its biggest-than-fist size and bright yellow egg filling. 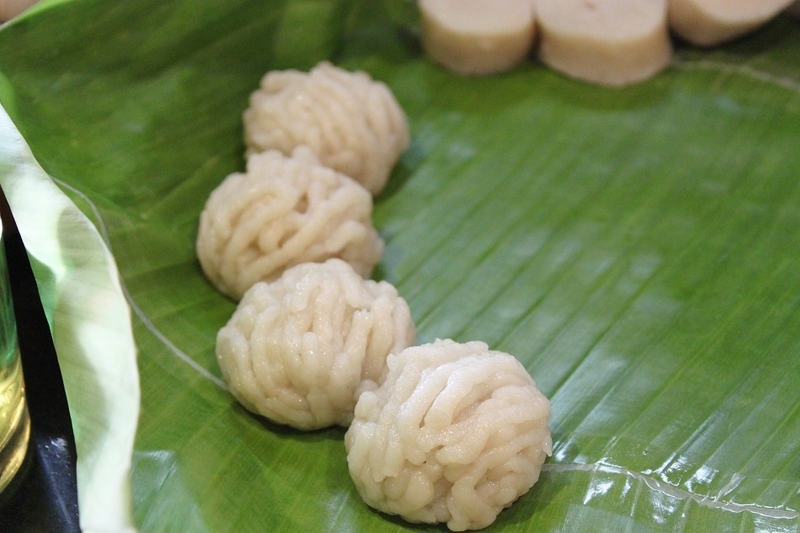 Curiously called pempek kapal selam, literally ‘submarine’ pempek, the dough is made in a similar fashion with other pempek, but before it is cooked a chicken egg is added into the center of the dough. For serving, some people prefer to have the cooked submarines briefly fried to give the dish a golden brown look. Pempek without cuko is comparable to sushi without the Japanese soy sauce. Made from palm sugar, vinegar, garlic, dried shrimp, and bird’s eye chili peppers, the viscous black sauce is essential in pempek serving. Its strong and refreshing flavor brings the mildly savory taste of pempek to another level – addictive level in my case. 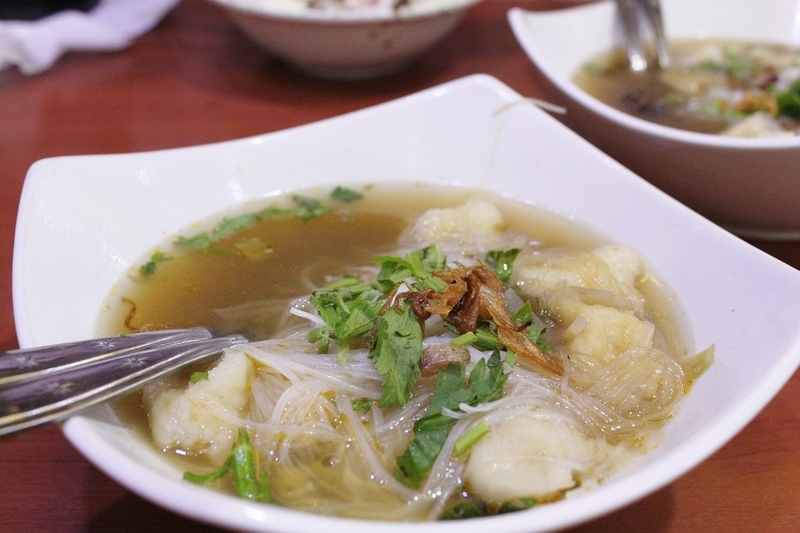 However Palembang culinary scene, which revolves very much around fish and shrimp, varies greatly beyond the already plentiful number of pempek variations. Tekwan and model are different variants of fishcake notable for the way they are served: chopped fishcakes in shrimp broth with rice noodles, chopped coriander, and fried shallot. 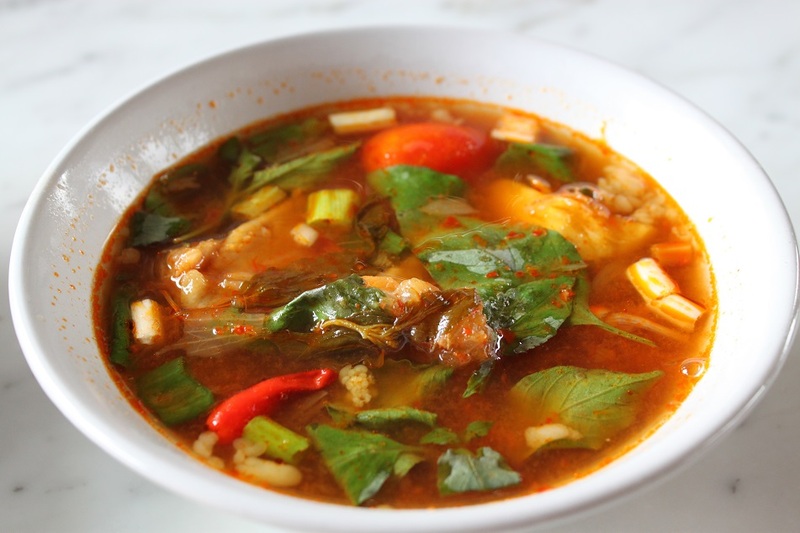 While pindang is a method of cooking where snakehead murrel or shark catfish – two of the most common freshwater fish used in the dish – is cooked in a broth of tomato, shallot, chili, lemon basil, pineapple, and belimbing wuluh (Averrhoa bilimbi, believed to be native to Maluku, Indonesia), the latter gives the dish a refreshingly sour kick. 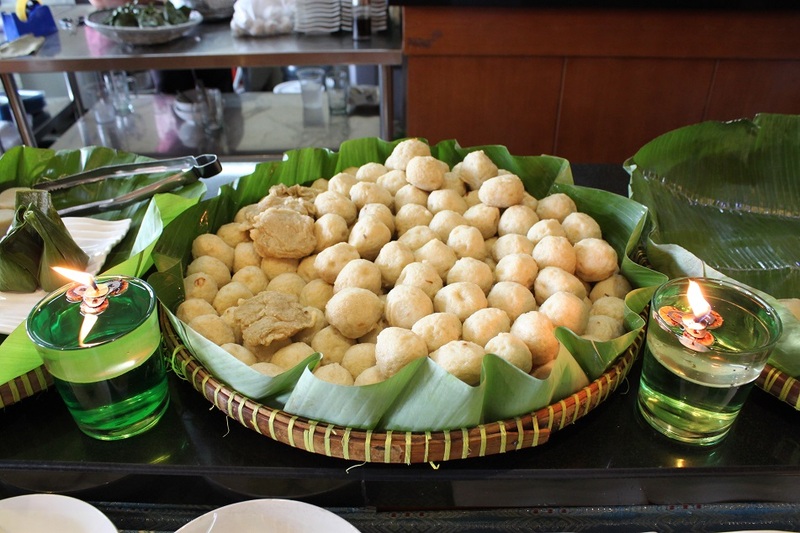 There is one dish, however, which is often overlooked by many, especially those from outside Palembang, as they often opt for the highly popular pempek. 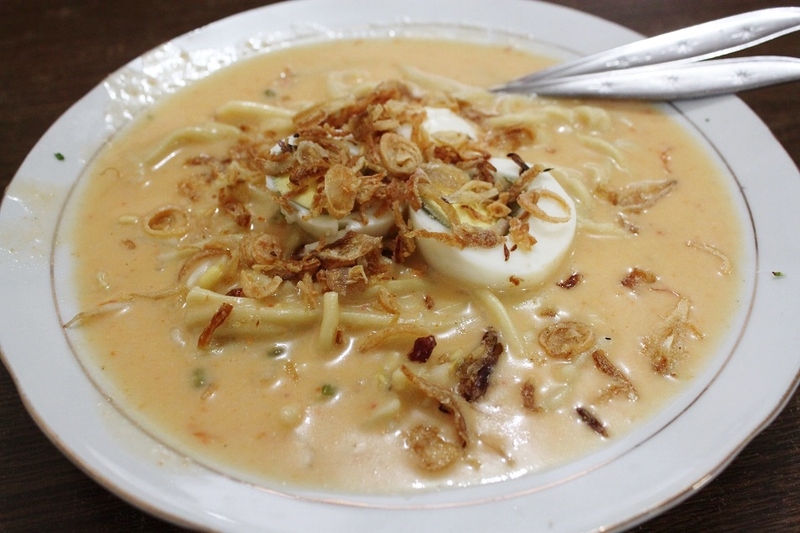 A serving of mie celor, a dish made from large yellow noodles blanched in hot water (a technique locally known as celor, hence the name) and served in dried-shrimp-flavored coconut milk with boiled egg and other ingredients, is a hearty meal perfect for any time throughout the day. From the bountiful Musi River and its tributaries to the abundance of the open seas, one can’t help but notice how dependent the locals are on the waters to feed them. But Palembang’s food culture also speaks of strong Chinese influence which, over generations, had evolved to suit local taste buds better. An example of the many cultural exchanges that have shaped not only the culture, but also the city itself into what Palembang appears today. It’s chewy and you can clearly taste the fish. The cheaper ones generally taste more doughy though. Owh, next time just try it when you go back there. I once read in Omnduut’s blog post that there are about 15 types of pempek :haha. Well, Palembang’s culinary itself is very rich, I think. The pindangs look like sayur asem to me (in which vegetables were substituted by fish, of course), and from its description, the taste is similar, kind of sour. Can’t wait to visit the city and try all of these delicious food, I wish I could do it now. Are you in Palembang now, Bama? Actually right now I’m on the island of Samosir. This post is from my latest trip to Palembang a few months ago. Hope you can visit the city soon, Gara. Ah, both of them are very delicious :hehe. Thank you! :)). Pempek Keriting? Never seen it before. How does it taste? Similar like other pempek? I thought that pempek has so many variants because of the form instead of the taste and filling -except the kapal selam one-. Btw, you’re good in writing of culinary article Bam. Your descriptions and photos make me want to eat my monitor haha. Great post buddy! To me it tasted very similar to adaan, but I prefer the latter for its smooth texture. 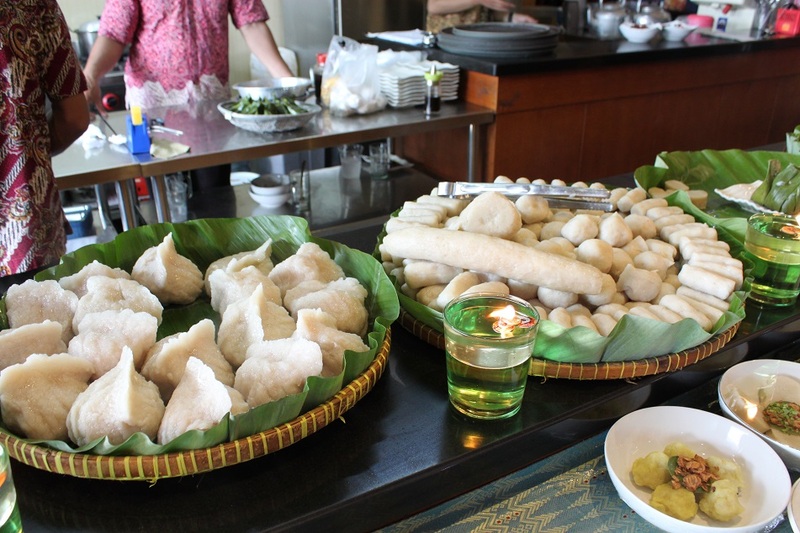 Some pempek are quite different from the rest, and as Gara said there are actually 15 types of pempek out there! Hi Bama – for me, an European, this cruisine is unknown whatsoever. I have no idea how any of these dishes might actually taste and I hate that, because the food looks beautiful in your pictures. Very welcoming to a gourmet’s investigation. Have a great day, Ruta! Hahahaha, buat yang suka ikan dan seafood Palembang memang surganya kuliner berbahan dasar keduanya. Nanti kalo aku udah dapet sinyal internet yang lebih stabil aku kasih rekomendasi tempat makan mie celor yang enak di sana. Tempatnya gak jauh dari PIM (Palembang Indah Mall). interesting article on pempek, thx for sharing! Actually pempek just by itself is already quite good. Those who can’t take too much of spiciness can do what do. Thanks for reading. The food looks awesome. I love discovering new cultures! I hope to visit Indonesia one day 🙂 Thanks for sharing. I have a friend back home that is Filipino/Indonesian. I will ask him about those dishes. Thanks for sharing! A wonderful culinary tour Bama. How are you doing? Thanks Sue. I’m currently on an island called Samosir, in the middle of Lake Toba which is actually a crater of an ancient supervolcano. The weather is tricky though in this part of the world — it’s sunny one day but rainy the other day. Your food photos always make one want to travel to Indonesia if for no other reason than to eat! All these look good, especially Pindang Gabus! Wow, thanks Marilyn! Indonesian food is one of the most underrated Asian cuisines. But things are starting to change, I think. A few days ago I watched a video of some Westerners trying Indonesian dishes for the first time. All comments are positive. 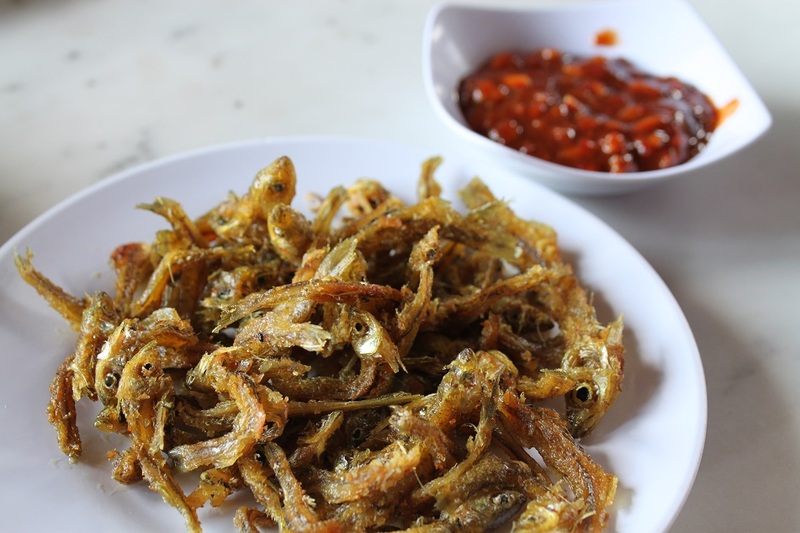 If you like your food a bit spicy, sour, and savory, then you’ll surely enjoy Pindang Gabus. Hmmmm… looks deliciousssss….. so are you both in Palembang now? Have a safe journey, Bama.. Thanks to the Chinese people now we have so many dishes we’re so familiar with at home and beyond, including pempek and fish balls. Ah of course. Nothing beats instant noodles for comfort food. 🙂 Thanks Sherly. That bowl of mie celor looks really good to me. Is pempek widely available in all cities of Indonesia? I can’t wait to have a taste of it. Mie celor really is comfort food. 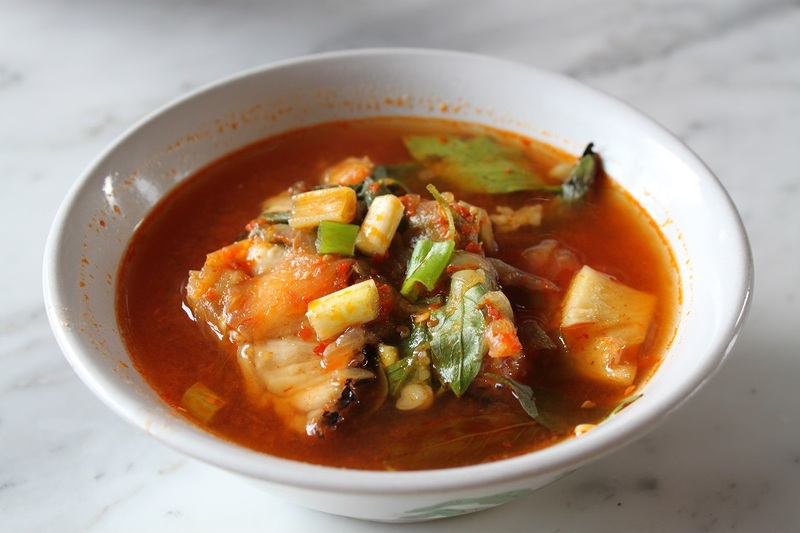 Its thick sauce and rich shrimp flavor are perfect for any time of the day. Pempek is quite easy to find all across Indonesia, although most of them taste mediocre. The ones from Palembang are still the best. Saya jadi ngiler sekali, hahaha..
Hahaha… kalo kebetulan liat kami, teriak ya! 🙂 Kami lagi di Medan sekarang, besok ke Sumatra Barat. Oke sip.Well noted! Haha.. Safe flight! Your photos made me hungry. I hope to try some now that you explained evertbing so well. Thanks. You are right. They only have satay where I live. I guess I need to put Indonesia in my places to travel. At least salad is healthy. 🙂 Trying local dishes is arguably one of the best travel experiences you’ll get wherever you go. great sir 🙂 please taste ‘rujak ice cream pakualaman’ too if you visit jogja next time. The food itself is enough reason to book that flight to go to Indonesia. 🙂 While many people around the world are now quite familiar with Japanese, Korean, Chinese, Indian, Thai, Vietnamese and Singaporean dishes, it’s still relatively hard to find Indonesian restaurants outside the country. Aduh, maaf.. 😀 Saya juga tiap liat fotonya jadi kangen pedesnya cuko. This looks fantastic Bama, and I am now committing myself to take a trip to Indonesia just to try the pempek and some of the other great dishes you have photographed and discussed…nothing quite like being in the perfect environment as well to enjoy such food. Cheers to a great summer! Speaking of the Spice Islands, I’m in Ternate now in the northern part of the Moluccas, the island where cloves are originally from. It was once controlled by the Portuguese, then the Spanish, and eventually the Dutch who controlled it until Indonesia’s independence in 1945. On the island I saw a lot of clove and nutmeg trees, but interestingly the locals don’t use many spices in their dishes. It is in places like Sumatra (for example Aceh), once an important trading port along the Spice Route, where spices are widely used in local cuisines. Happy travels to you too, Randall! This is so cool ~ you are on an adventure of my dreams with the Spice Islands. Interesting that the locals do not use many spices in their dishes. Cheers and continued happy travels. Hopefully you’ll visit the Spice Islands sooner than later! Yes, setuju banget! For those who love spicy food cuko really is key to deciding whether a pempek is good or not. yummmmmmmmm!!! I love your pictures! Just started my blog today and want to get connect to more travelers out here. Hi Bama, I’ve always been very interested in Asian dishes and this article on Indonesian dishes is very interesting, can you share a little bit more about what’s in the Es Kacang Merah it looks like red beans right? I’m glad this post piqued your curiosity on Indonesian dishes. 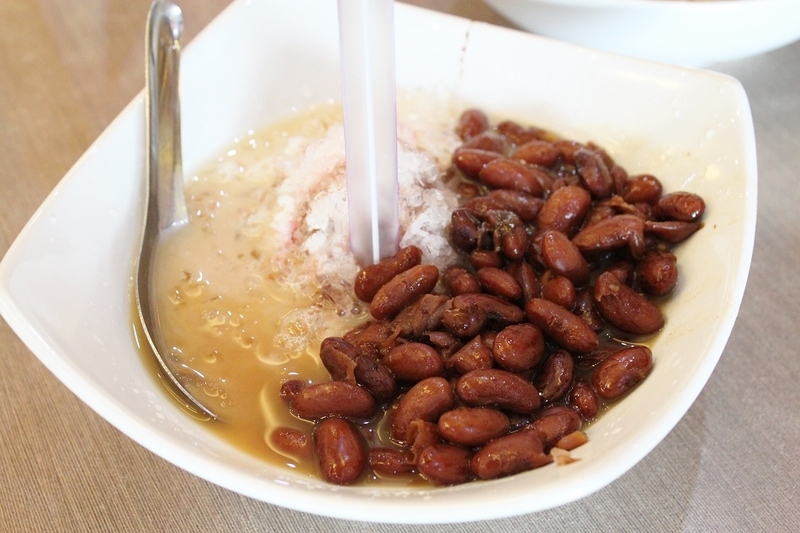 Kacang merah means red bean in Indonesian, so as you have guessed it is indeed made of red beans, shaved ice, and syrup. Thank you for your kind words! I wish I could have that pempek right now. It is that addictive! Your culinary posts keep getting better and better Bama! As does your food photography. Look forward to learning some tricks when we meet 🙂 Mie Celor sounds fantastic. Just the kind of ‘meal in a pot’ kind of dish I love. Madhu! We have been staying in the Banda Islands for almost two weeks, but within a few days we’ll be flying out of Southeast Asia. We can’t wait to see you in Chennai! I’m sure we’ll exchange not only food photography techniques, but also lots of stories. 🙂 Actually ‘meal in a pot’ sounds like typical comfort food. Without a doubt 🙂 Could you mail me your final dates once again please Bama? The food is looks like great ! I would say the food in Palembang is one of my favorite in Indonesia.